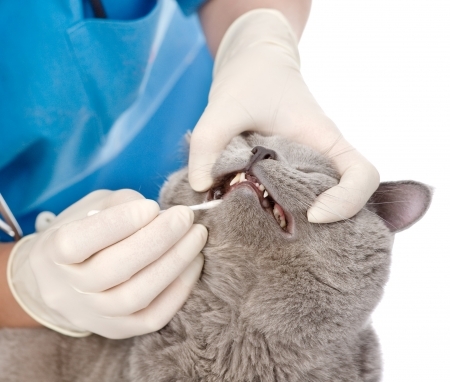 We enable you to offer the increasingly popular new technique known as an Anesthesia-Free Pet Dental Services. Offering dog teeth cleaning & cat teeth cleaning can provide you with an additional revenue stream with no out-of-pocket investment. We have you covered, we provide all the knowledge and equipment we need to perform the service. Anesthesia-Free Pet Dental Services are a way to get your clients back into your establishment on a more regular basis, and to maintain better overall pet health. We also have a reminder program where we send out reminders to your clients with your information. We provide all of our providers with a detailed form with pet dental charting and the current oral health of each pet. That way all results are completely documented and you have a detailed record to keep on file for easy recall when needed. Free Marketing for your Place. We advertise the procedure’s availability at your location on our website. We provide all printed materials about Periodontal Disease and Anesthesia-Free Pet Dental Services to display at your location to help educate your clients, brochures, desk stands, floor banners, window clings, A sing, you name it we got you cover as all marketing material is on us. We will also announce your business as a location that the service is regularly offered, so clients can go directly to you, this is a great way for your to gain new clientele at your location. We will market the service at your location and send leads to you from clients in your area looking to get the service at no extra cost to you. If you are a Pet Industry Business interested in offering the service at your establishment or looking for more info about anesthesia-free dental cleaning, fill out the form below and one of our representatives will contact you to schedule a meeting and a free demonstration of our services. Thank you for your interest in the non-anesthetic procedure and offering the service at your location!. One of our staff members will be contacting you within 24 hours.